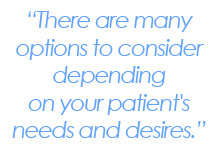 Filling in the Gaps™ | Enhancing your clinical expertise. We chose the name “Filling in the Gaps” for its versatility. It made sense because we’re writing to dentists, but also because of our desire to “fill in the gaps” that perhaps exist in our readers’ knowledge. But there are other gaps that may need filling in dentistry today: the gaps in your schedule. Now obviously we hope every post here helps that in some small way, but this week we’ll tackle the subject head-on. 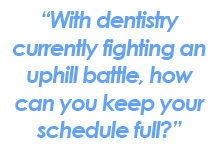 With dentistry currently fighting an uphill battle against the economy, how can you keep your schedule full? Gaps in a practice’s schedule occur for many reasons. When looking for a place to begin preventing them, you don’t have to go far. 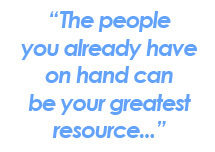 From my experience at BonaDent, the people you already have on hand can be your greatest resource for solving problems, reaching goals, and achieving success. Your hygienists spend more time with your patients than you do, and the doors to scheduling follow-ups, selling case acceptance, or encouraging referrals are open wider for them. By encouraging your associates to build rapport and trust with patients, you help ensure that every patient has another appointment penciled in before they leave. Successful days start when you look ahead to who your patients are and what treatments they may need. If perhaps you have a hygiene patient who needs a restoration, you can more easily fill gaps by strategizing early how to sell case acceptance. By knowing your patients, what benefits to emphasize, and what concerns to address, you take huge steps toward keeping those gaps full. Of course, this doesn’t prevent gaps entirely, especially when it comes to what’s probably the most frustrating gap of all: the cancellation. Losing loyal patients thanks to the excitement of modern lifestyles can be detrimental to your revenue and reputation. Services such as Demand Force and Smile Reminder can be useful in giving your scheduled patients enough of a heads up, or you can take action yourself by offering to move patients ahead in your schedule should space become available. Of course, there’s also the matter of insurance, which for many is far from a sure thing. A lot may have changed in a family’s economic situation since their last cleaning, but consider negotiating alternatives to get them into your chair. Go out of your way to make life a little less stressful for your patients. They’ll appreciate the effort, and you’ll be making a wise step towards building a solid reputation. 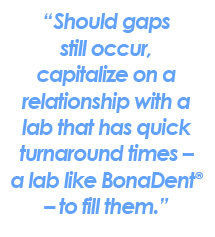 Should gaps still occur, capitalize on a relationship with a lab that has quick turnaround times – a lab like BonaDent – to fill them. BonaDent’s normal turnaround times are very fast, and we offer rush cases at no additional cost to you. When a gap occurs, check to see which restorations you’ve received back early, or call your lab and request to push a case through. Then you can contact your patient, and offer to take them at the earlier opening. Not only will you fill that gap, but you can be a hero for your patient, as well. Social Networking – never underestimate the power of engaging with your customer base – the local community. Post frequently to drive engagement with every patient and potential patient. Let them know you’re there whenever they need you. An Attention-Grabbing Web Page – being listed on sites like healthgrades.com or yelp.com can be a start, but a patient will likely choose the practice that sells itself with a sleek, professional website. A website can be the face of your practice, and builds the patient’s trust in you before they’ve even met you. Patient Experiences That Facilitate Referrals – the greatest resource for new business is referrals. The practice that stands out in the minds of their patients is the one most likely to get referred to friends and family. Differentiate Yourself – when most U.S. towns have multiple dental offices, how can yours stand out? There’s no hard-and-fast rule to follow here, other than to pay close attention to how your competition operates – where are they located, which demographics do they service, what is their restorative work like, how is their customer service, and what are their fees? When you identify what works and what doesn’t for your competition, you can more easily identify how you can do better. Is it by offering more convenient scheduling? Faster turnaround times and quality restorative work thanks to a partnership with a laboratory that “gets it”? That’s up to you to figure out. But providing an experience above-and-beyond that of the competition is probably the most important move you can make when filling your schedule. 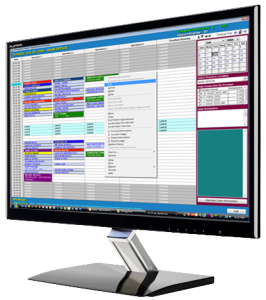 In today’s economy, keeping a schedule full is a challenge for any dentist, but with the implementation of good strategy based on the strength of your internal team, along with partnerships with manufacturers and a laboratory that supports your objectives, your practice can only prosper. You can move beyond schedule gaps to a new era of success. 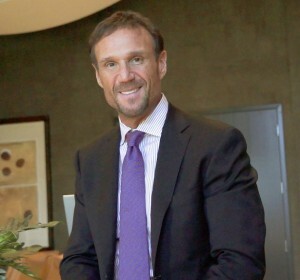 Bruce was named president of BonaDent in 1986 after Angelo “retired.” In the years since, Bruce has steadily charted BonaDent along a course of growth and modernization that has led to the laboratory’s reputation as one of the finest in the dental industry. With his commitment and dedication to attracting the industry’s best technical talent, utilizing the most advanced, cutting-edge technologies, and delivering the highest in quality customer service, Bruce ensures BonaDent fulfills his vision of consistently providing every customer with all the resources necessary for achieving the ultimate in patient satisfaction. The success of this model has further led to Bruce’s expansion of BonaDent to satellite laboratories in Melbourne, FL and Greenville, SC. Bruce is a current member of the American Academy of Cosmetic Dentistry, and holds the patent on BonaDent’s unique 8-tab Anterior Expert Shade System™. He has lectured nationally, and has been published in Lab Management Today on “American Made Restorations,” a subject that grew out of his desire to keep the American dream alive for the homegrown technicians who supported him and his father from the beginning. Bruce continues to champion American Made Restorations passionately, even founding BonaDent’s sister laboratory Danaren Dental Laboratory to provide dentists with the quality economical restorations they desire without having to outsource work to offshore labs, and to give American dental technicians a long-term, stable career within this industry. Now in its fourth generation as a family-owned business and proud to have served the dental community for over 65 years, Bruce and BonaDent show no signs of slowing down. Bruce continues to lead the company down new paths of success and into emerging markets across the U.S. Bruce recently completed renovating a former Wal-Mart building into BonaDent Dental Laboratories’ new state-of-the-art headquarters in Seneca Falls, NY. Have your own tips for how to keep your schedule full, or want to learn more about how a partnership with the right laboratory can make the difference for you and your practice? Send us an e-mail at fillinginthegaps@bonadent.com. The truth is neither is really better than the other, as there are several circumstances in which one would be more suitable. For instance, because flexible partials can be designed smaller, they make an ideal removable option when only one replacement tooth is needed, and because of their relative inexpensiveness, they’re a great temporary restoration for someone still waiting to receive an implant. Flexi partials are also made of nylon, which makes them ideal for someone allergic to the monomer in acrylic partials. However, cast and acrylic partials may be the better option for most immediate cases because they’re more easily adjusted after tissue resorption than flexi partials are, though making adjustments to flexi partials is not the impossibility it’s made out to be (I’ll explain that further in a moment). 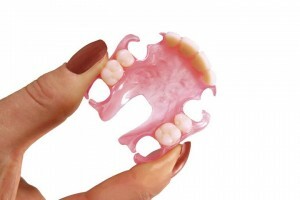 Flexi partials are tissue born, meaning that — unlike tooth born cast or acrylic partials that need rest seats and guides — flexi partials incorporate the undercut of the tissue, and thus no rest seats are needed. On one hand, this can be advantageous as it eliminates the possibility of metal showing in patients’ mouths, enabling high esthetics. But it does mean flexi partials are not ideal for someone who has a flat ridge or free-end distal extensions because they rely on the tissue undercut to stay in place. However, you can get similar esthetics to a flexi partial without the problems caused by tissue resorption when you prescribe a cast or acrylic partial using flexible clasps instead of traditional rest seats and guides. This may not provide the same level of comfort as a flexi partial, but it may be an option to consider depending on your patient’s needs and esthetic desires. Not true! It used to be that the nylon in a flexi partial couldn’t bond to itself, and adjustments were only possible by stripping the old nylon off and replacing it completely in a process called rebasing. But thanks to advancing techniques and newer materials, a tooth and a clasp can be added as needed. Flexi partials are made of nylon, not acrylic, are unbreakable, color stable, lighter weight, and tend to be more comfortable than cast partials. And as stated above, they’re also the slightly less expensive option. When it comes to making an impression for a flexi partial, alginate tends to be the most precise. We also recommend 3-mm of vertical clearance for best results. After the partial is completed, the use of rubber-point, non-aggressive burs is recommended when making chairside adjustments. We suggest polishing as you would a traditional partial, but at a lower speed and in cool, wet conditions. My final advice: be patient. They may require a bit more work, but many doctors and patients find flexible partials more than make up for it when it comes to esthetics, comfort, and cost. In the end, though, they won’t be the best fit for every patient. But with the vast array of options available, if the situation calls for a partial removable restoration, you can rest assured that there’s one to suit your patient’s needs and esthetic desires. For further assistance and guidance, please feel free to contact me directly at fillinginthegaps@bonadent.com, or consult with your Lead Technical Contact about what’s the best treatment plan for you and your patients. With over 25 years in the industry, Tess has been a dental assistant, technician, and manager. She combines that experience with advanced technical training from Ivoclar Vivadent, Staub Cranial, and TCS Advanced Technician Training (just to name a few), and applies that expertise daily when communicating with doctors and developing treatment plans. As the Denture Department Manager, she strives to deliver you and your patients winning results of the utmost quality and craftsmanship. Have questions for Tess on the benefits of partial removable restorations of any type? Send her an e-mail at fillinginthegaps@bonadent.com.